In addition to Europe & the Middle East, our India based team of OCIMF category 1 accredited ship inspectors now provide SIRE inspections of oil, gas & chemical tankers in India, Pakistan, Sri Lanka, Senegal, Ghana, Togo, Benin, Nigeria, Mozambique, Kenya, Cameroon and South Africa. CMS (UK) Ltd. have successfully passed the annual ISO external audit. Managing Director Richard Lane commented "We have always been committed to providing a quality management system for our clients and to having an efficient & continuous development process in place. ISO 9001 certification demonstrates this commitment and shows that our processes stand up to external scrutiny." CMS were approached by Isle of Sark Shipping Co Limited to arrange an emergency replacement ferry for their inter-island service. This we managed to achieve within 24 hours with the boat in service within 3 days. Isle of Sark were so happy with the performance of this replacement ferry, and the service provided by us, that after 4 weeks of chartering they purchased the vessel. 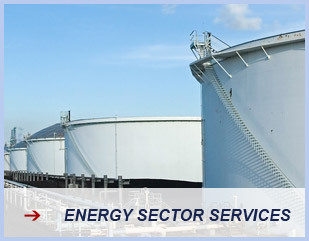 As part of our on-going commitment to re-investment and enhanced customer service, we are proud to announce that our Quality & Environmental Management Systems are now registered with UKAS to ISO 9001 standard for oil loss control and ship inspections. UKAS are the only accreditation body recognised by the UK Government to assess and certify, amongst other things, Quality Management Systems against this internationally agreed standard. 1st December 2009 - CMS (UK) Ltd have been awarded a 6-month ship management contract for the ocean going tug 'Baltic Warrior'. This exciting challenge of day-to-day management includes crewing in addition to the commercial & technical management. 9th November 2009 - With the co-operation of the Port of London Authority, Upper Thames Pilots & Thames Craft Drydocking Services, the TS Queen Mary left her moorings on Victoria Embankment for a last Thames river Pilotage enroute to La Rochelle. The vesel was safely delivered to Tilbury docks where she will undergo further preparations for the next stage of the voyage. CMS would like to congratulate all parties involved for their professionalism under difficult circumstances. The Pilotage & towing was of a particularly high standard. Please contact us if you would like permission to use any of the photos below. 1st October 2009 - Having sourced a buyer for the TS Queen Mary, CMS (UK) Ltd has been appointed to act as agents for the new owners. The TS Queen Mary, built in 1933 in Dumbarton, Scotland, is a well known landmark in London and has spent the last 11 years as a floating nightclub / restaurant / function venue on Victoria Embankment. The initial challenge was to find a new owner prepared to invest in preserving this grand old lady. The next challenge is to deliver the vessel to her new home - La Rochelle - where she will be converted into a floating hotel. Capital Marine Services (UK) Ltd. is co-ordinating the move planned for November 2009. Further details will be added to this site after the Thames transit on 9th November. 1st September 2009 - CMS (UK) Ltd is now established in 'Landguard Manor'. The Landguard Estate has been in existence since the times of the Domesday Book and its entry states that it was “held by Edward the Confessor, as an alod by two freemen and belonged in 1086 to William, son of Azor”. 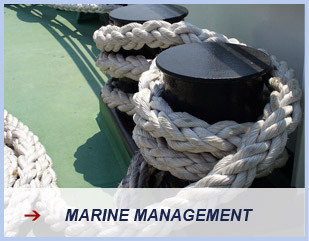 Capital Marine Services (UK) Ltd.
Click here to read all CMS news items ...read more.